Clean the cantaloupe by removing the outer skin and all the internal seeds. Cut into chunks. In a blender add the butter and the prosciutto and blend at medium speed until it all blends well, about 30 seconds. Add the cream cheese and blend for another 30 -40 seconds. Add the cantaloupe chunks and blend until reduced to a creamy consistency. Refrigerate for 3-4 hours before serving. 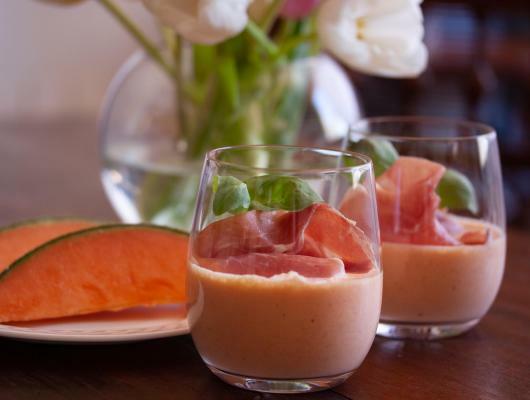 Place in a small glass half way, add 1 slice of prosciutto to each glass. 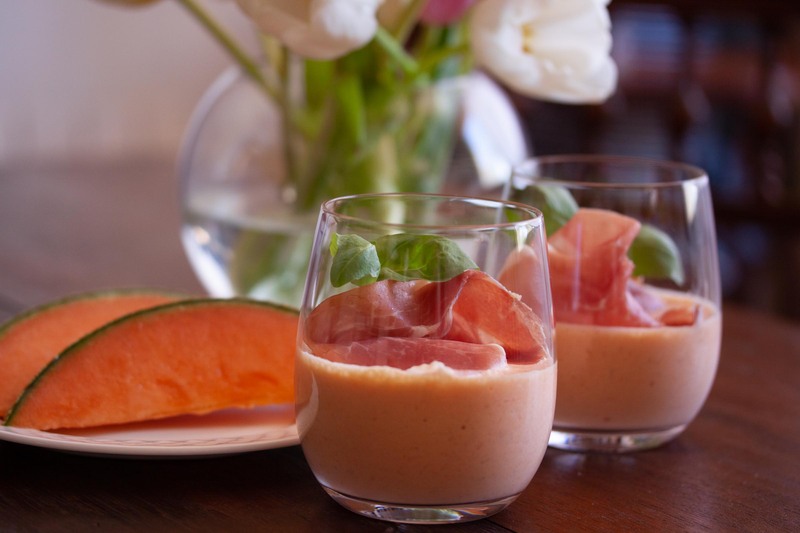 Mousse of Cantaloupe. I can hear you now, What? Did she say mousse? If that did not stop you, reading the recipe definitely would. So, before you go running away in the opposite direction, I am inviting your creative and adventurous side to come out and be open about this. It all started with a recipe from an old Italian magazine and I modified it until it took a life of it’s own. I must say, I have not stop eating it, and since I made it a few times to get it where I wanted to taste , I am completely in love with it and so excited to share it with the world.